I was recommended by my consultant to try a night splint for my plantar fasciitis as regular treatment was unsuccessful. I didn’t want to spend a fortune so I looked around for a product with good reviews, and this one was to the fore. 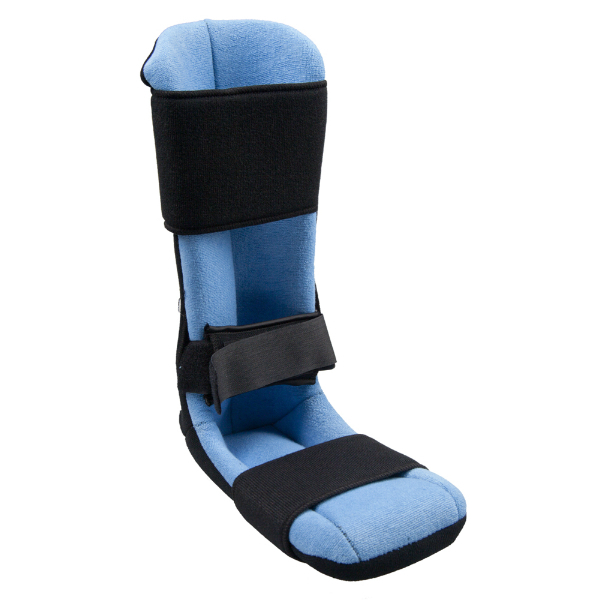 I thought that it was more flexible, as the description seemed to imply, and spoke to customer service several times after purchase as the splint is quite rigid. Having been reassured that if there was a problem I would be able to return the splint I decided I would try it and I’m so glad that I did. It is a bit obtrusive at first, but once asleep it is very comfortable. I have found that my condition improves first thing in the morning as I can actually remove the splint and put weight on my foot, although the pain returns during the morning. My sleep isn’t interrupted as it was before as my foot/leg are held firmly and do not flex through the night. I can honestly recommend this splint as a well-priced, useful treatment, if not a solution yet, for me.